I’ve added a new page to the Reference section of my site, LEGO Train Types which outlines the various types of train sets LEGO has produced over the years. 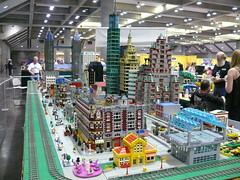 Did you know the first LEGO electric trains came out in 1966? 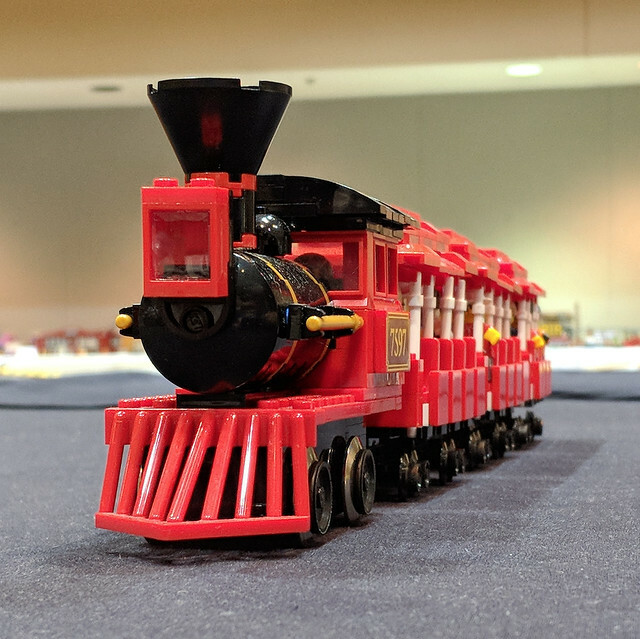 Earlier this month I was involved in the LEGO display at the National Model Railroad Association‘s (NMRA) National Train Show held this year in Sacramento, California as a part of their annual convention. 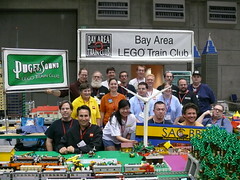 Members of the Bay Area LEGO Train Club (BayLTC), Sacramento Brick Builders, and Puget Sound LEGO Train Club joined together to put a large display of LEGO trains and other models. Click either photo to see my pictures from this event or view them all as a slide show.